Home Mattress Basics Why is my mattress sagging? We've all been there–trying hard to fall into a restful sleep while simultaneously fighting against a mattress sag or dip that keeps pitching us into our partner. Discomfort, fatigue and irritability are almost certain to follow the next morning.Though some mattress sagging or dipping is caused by the pattern of weight distribution between you and your partner, the main culprit is simply the fact that many mattress and foundation systems lack proper construction for long durability. 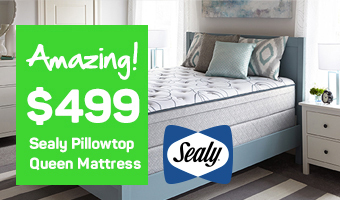 Fortunately, there is no reason to suffer from the ill effects of a sagging mattress any longer. We've got some tips and tricks to help you diagnose your mattress issue and attempt to troubleshoot the problems on your own. 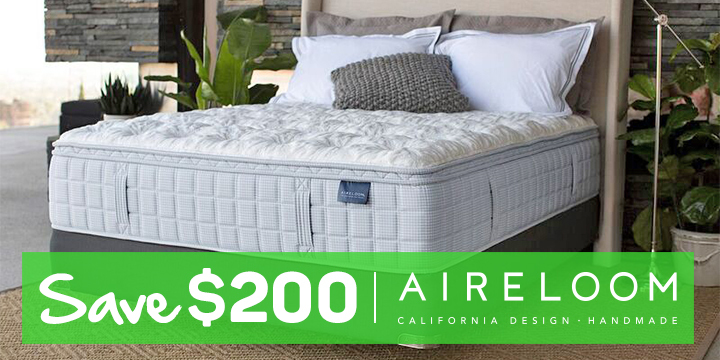 If those prove ineffective, now may be the perfect time to purchase a new mattress system and finally put those restless nights behind you once and for all. Routinely flipping and rotating your mattress can help stave off uncomfortable sagging. Another essential self-help tip for those experiencing uncomfortable mattress sagging is to investigate whether the mattress itself is properly supported from below. This is particularly true for larger mattresses in the Queen and King range, which may lack a much-needed integrated center support mechanism. The greater size and more substantial weight bearing requirements of mattresses such as these makes additional support essential in the prevention of sagging, and it may be that your center support is missing or broken. Perhaps your mattress is too heavy for the foundation on which you have placed it. To quickly determine if you have a support issue, place the mattress directly onto the floor and see if you and your partner still experience the sagging. If not, you will know that additional support is required. Slats may need repair, or you may prefer to make an investment in a new box spring or foundation. How old is too old for a mattress? Take care of yourself and make sure you are sleeping on a mattress that will not hurt your body. If you are not sleeping through the night or you are waking up in pain, your mattress is probably ready for retirement. All of us can agree that quality sleep is essential to good mental and physical health. Being able to experience all stages and cycles of sleep each night helps ensure that the mind and body can function at an optimal level. Constant disruptions, discomfort and an ongoing inability to experience REM and non-REM sleep cycles can have a negative effect on our daily lives. The good news is that none of us needs to suffer the frustration of a sagging mattress any longer. No mattress lasts forever, and it may be that yours has reached the end of its useful life. Perhaps you simply need to upgrade your foundation in order to provide proper support for an existing mattress that is otherwise appropriate for your needs. 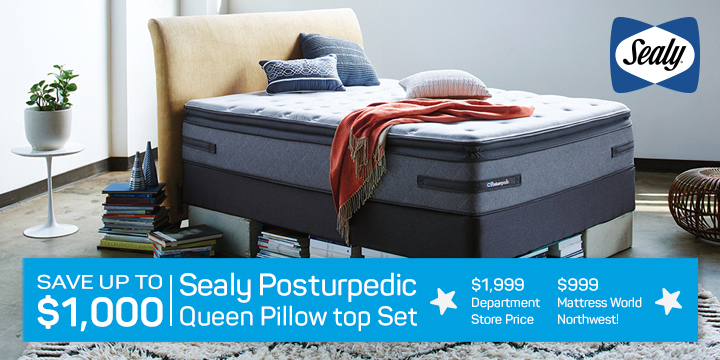 Regardless of your specific situation, the sleep specialists at Mattress World Northwest are ready and eager to guide you through the process of getting the best possible sleep night after night. At each of our 11 conveniently located Oregon showrooms in Canby, Gresham, Clackamas, Beaverton, Salem, Wilsonville and throughout the Portland area, our team of trained professionals assesses your sleeping style, body type and any physical complaints and recommends the ideal mattress and foundation system. We are confident in our ability to help elevate your sleep experience and exceed your expectations with unrivaled customer service.